The International Integrated Reporting Council (IIRC) (previously the International Integrated Reporting Committee) was formed in August 2010 and aims to create a globally accepted framework for a process that results in communications by an organisation about value creation over time. The IIRC brings together a cross section of representatives from corporate, investment, accounting, securities, regulatory, academic and standard-setting sectors as well as civil society. It comprises a Steering Committee, a Working Group and a three taskforces (dealing with content development, engagement and communications, and governance). The IIRC is chaired by Professor Mervyn King, Chairman, King Committee on Corporate Governance and Former Chairman, Global Reporting Initiative. Membership includes Hans Hoogervorst (IASB Chairman), Leslie Seidman (FASB Chairperson), Maria Helena Santana, (Chairperson, IOSCO Executive Committee), Göran Tidström (IFAC President), Jim Quigley (former global Chief Executive Officer of Deloitte), and many others. Paul Druckman is Chief Executive Officer. In November 2011, the IIRC announced a number of changes to its organisational structure. Under the new arrangements, an initial transitional phase until the end of 2013 will see the IIRC supported by a strengthened secretariat operating through a not-for-profit company established for the purpose under the same name. The company's board will comprise Mervyn King as Chairman, Leslie Ferrar (Treasurer, Household of the Prince of Wales and the Duchess of Cornwall) and Christy Wood (Chairman of the Board of Governors, International Corporate Governance Network) as Deputy Chairs, together with Ian Ball (Chief Executive, International Federation of Accountants), Ernst Ligteringen (Chief Executive, Global Reporting Initiative), Jessica Fries (Director, The Prince's Accounting for Sustainability Project) and the IIRC's Chief Executive, Paul Druckman. A Governance Committee has also been established, with responsibilities relating to audit, nominations and executive remuneration for the company. At the time of its formation, the IIRC's stated objective was to develop an internationally accepted integrated reporting framework by 2014 to create the foundations for a new reporting model to enable organisations to provide concise communications of how they create value over time. 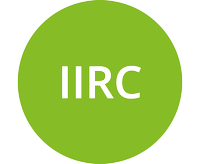 After a consultation process, the IIRC published the first version of its 'International Integrated Reporting <IR> Framework' (<IR> Framework) in December 2013. Integrated reporting (stylised by the IIRC as '<IR>') is seen by the IIRC as the basis for a fundamental change in the way in which organisations are managed and report to stakeholders. A stated aim of <IR> is to support integrated thinking and decision-making. Integrated thinking is described in the <IR> Framework as "the active consideration by an organization of the relationships between its various operating and functional units and the capitals that the organization uses or affects". The IIRC's long term vision is a world in which integrated thinking is embedded within mainstream business practice in the public and private sectors, facilitated by Integrated Reporting (<IR>) as the corporate reporting norm. The cycle of integrated thinking and reporting, resulting in efficient and productive capital allocation, will act as a force for financial stability and sustainability. The primary purpose of an integrated report is to explain to providers of financial capital how an organization creates value over time. An integrated report benefits all stakeholders interested in an organization’s ability to create value over time, including employees, customers, suppliers, business partners, local communities, legislators, regulators, and policy-makers. Consistency and comparability – ensuring consistency over time and enabling comparisons with other organisations to the extent material to the organisation's own ability to create value. Basis of preparation and presentation - How does the organisation determine what matters to include in the integrated report and how are such matters quantified or evaluated? October 2011 Initial organisations participating in the IIRC Pilot Programme announced The Pilot Programme is a two-year programme for a group of companies who will work as a network of peer group organisations, exchanging knowledge and sharing experiences on integrated reporting. Earlier this year the International Integrated Reporting Council (IIRC) launched a two-month consultation to gauge businesses' views on the implementation of the framework, to inform on further development. The results of that consultation are now available. A summary of recent developments at the Natural Capital Coalition, A4S, the SASB and ACCA/IIRC. At the International Integrated Reporting Council’s (IIRC) council meeting, IASB chair Hans Hoogervorst discussed the IASB’s approach to wider corporate reporting landscape as well as the IASB’s conceptual framework and practice statement on management commentary related to integrated reporting. A summary of recent developments at the IIRC and ACCA. As Special Advisor to the Financial Stability Board’s Climate-related Financial Disclosures Task Force, the body which produced the Recommendations of the Task Force on Climate-related Financial Disclosures, Russell Picot, is at the forefront of efforts to encourage the disclosure of climate risks in annual reports. Robert Bruce, our regular, resident columnist has interviewed him and reports on the latest progress. Bob Laux has been a stalwart of the US financial reporting scene for a long time, most recently leading the treasury controller group at Microsoft. Now he has taken up a new role, as North American Lead at the International Integrated Reporting Council. As he prepares for his task and the challenges ‘to ensure integrated reporting is at the heart of the business agenda in North America’ he has been talking about his plans to Robert Bruce, our regular, resident, columnist. Robert Bruce, our regular, resident, columnist reports on moves towards widespread adoption of integrated reporting and the direction taken at the recent joint conference of the International Corporate Governance Network and the International Integrated Reporting Council. A summary of recent developments at the GRI/IIRC, IRC, and FASB. The International Federation of Accountants (IFAC) has issued an updated version of its Policy Position Paper 8 on enhanced organisational reporting. The update emphasises IFAC's position that integrated reporting is the way to achieve a more coherent corporate reporting system, fulfilling the need for a single report that provides a fuller picture of organisations’ ability to create value over time. A summary of recent developments at the SASB and the IIRC.